Possibly the biggest stockist of diet products in the high street is Boots the Chemist – all the major slimming pills brands that are available to purchase without prescription are likely to be stocked in store at Boots. Adios, Lipobind, Appesat and now Alli are possibly the biggest and best known. One of the lesser know is Potters Femmeherb Slim Aid. The main ingredients of Slim Aid are fucus, dandelion root and boldo – so more or less exactly like Adios. 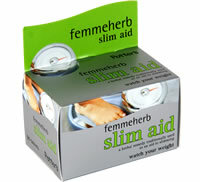 Slim Aid is also designed to control calorie consumption. A completely natural formula that should not cause any health issues – although pregnant or nursing mothers are recommended to refrain from using. 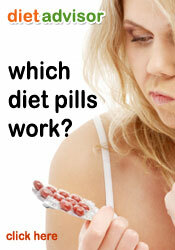 Products such as Femmeherb, Adios and Diet Aid are aimed at the lower and cheap end of the market. They are unlikely to cause any negative effects – but equally unlikely to produce any positive ones. Proactol – a clinically proven and accredited fat binder that reduce fat digestion by up to a quarter. Proactol is classed as a Medical Device Type 1 and available to buy direct without the need of a prescription.